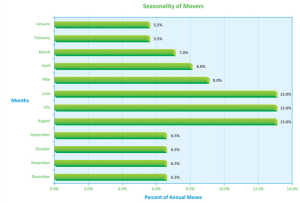 Seasonality of New Movers – Avrick Consulting, Inc. 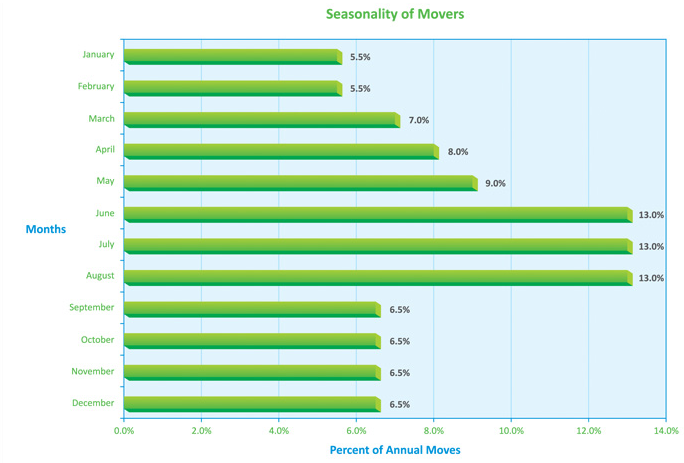 The following chart details the seasonality trends of new movers. New mover lists continue to represent the most frequently mailed type of list in the nation. We recently published a white paper about new mover lists, with information about why we move, seasonality trends, demographics, geographic mobility, relocation marketing opportunities, and when new movers make their purchasing decisions about products and service.